Place the dates, almonds, coconut, vanilla and turmeric in a food processor and process for 3 minutes or until combined. Roll tablespoons of the mixture into balls. 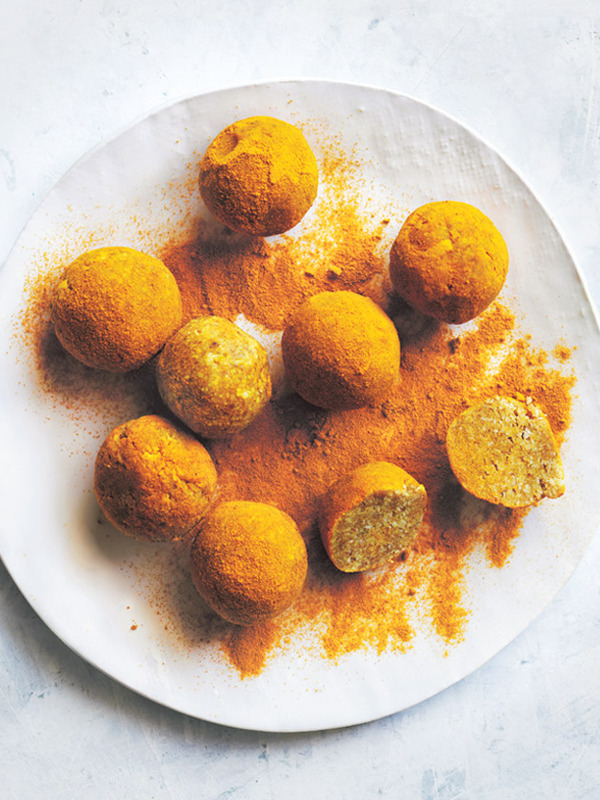 Roll the balls in the extra turmeric to coat. Serve. Makes 27. Tip: You can store these bliss balls in the fridge for up to 2 weeks.